Assuming you’re taking these pictures in the evening, then that bright object is Jupiter. Right now, it’s in the eastern/southeastern sky after sunset. Venus is in the west after sunset, for the next couple of months. I like the smiley faces at top right. PS: it’s called a torch, by all right-thinking people who understand English. Though I drift off into Norse with my chums up north, my Dane girlfriend used to be most amused but kept up. Geordie = Norse. For US-based folks who’d like to experiment with different Carclo optics, check out LEDsupply. Free US shipping for orders under 13oz. Hey the U.K. might have a few leftover measurements from the stone age, but things have been largely metric in the English speaking world (along with everywhere else) since the 70’s except for certain former colonies waaaaaay over there to the left on the world map, who won’t budge an inch. Tom Tom, I did not think you were so bigoted, until recently. Please keep in mind this is an international forum. We are from all over the world. For many people here, English might be their 2nd or 3rd language. Please try to be more tolerant of others, okay? Also, when you say stuff like this I can’t tell if your joking or serious. I’m starting to think serious. Welcome, even though you are Welsh (not your fault). This is a very pleasant place to hang out. You make it not so pleasant when you say stuff like this or rant about shipping rates. I’m sure you think your country is the greatest in the world, but you have to remember that everyone thinks their country is the greatest. Can we please focus on the lights and all get along? Thank you. LOL, just let them UK/Common Wealth folks call themselves names among each other, they will be juuuuust fine! I usually hang out on Reddit so I just now made an account here, but I’d like to get on the list please! Thanks everyone for your hard work on this! Welcome to the forum. I’m sure Pepinfaxera will add you for one unit when he does his next update. I’ve actually taken some video now with my d4 219c (approximating the cd of a lh351d fw3a) showing why I do not think any more throwiness than that is a useful thing even outdoors, and why floodiness might be. I have tested several scenarios; both distance shots and a variety of other ranges. I blindfolded one eye for 20-30 minutes before going outside, but as it turned out the camera wasn’t able to be made sensitive enough to match it. I got it as close as I could to the non-adapted eye’s sensitivity, but it didn’t quite reach that. I’m more of a stills photographer, so maybe there’s something I missed. All video clips were shot at the same exposures, the only auto setting was white balance. Hells’ Bells. just get it made and delivered PDQ, however. Then we can stop yacking about it. It might be great, or not, but I’ll take that chance. What should I have done for my beamshots to be better? Do a full auto picture, note the ISO and Aperture, switch to “Program Auto” and fix those values and let it auto everything else? I’m hoping to do an emitter-vs-color-temperature heat map of all votes with a matching name on both polls, to get more info about which specific emitter+color combinations are most popular. And since I can’t map anon votes between polls, they won’t be on the graph. Removing anons doesn’t change the color temperature rankings. It does flip the top two for emitter type though. In either case, the margin isn’t big. In one result, XP-L HI wins by 5 votes. In the other result, LH351D wins by 6 votes. The top two emitter types are pretty evenly split, so we should probably try to get Lumintop to make both. 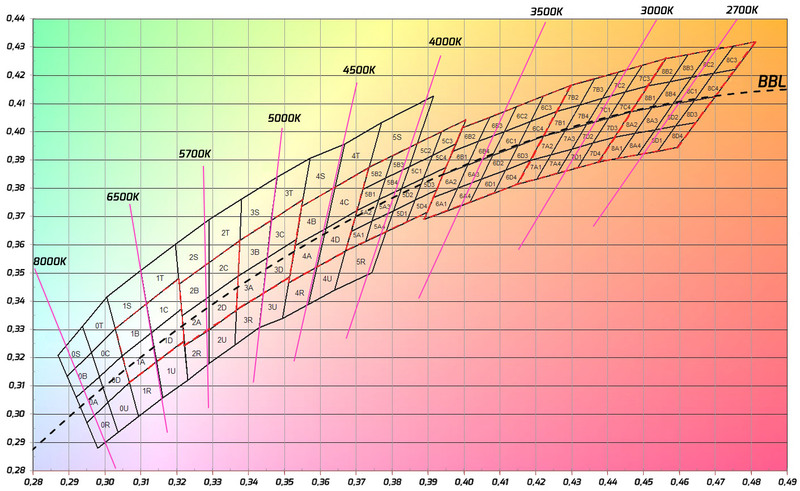 Tint for each emitter type should be 4000K to 5000K, but the details need a closer look. BTW, it’s worth mentioning that the polling site does at least try to prevent ballot stuffing. It’s not very hard to get around that, with a bit of internet trickery, but it at least doesn’t let people do it easily. And at a glance, it doesn’t look like that has happened, even among anon votes. Like, for color temperature, there are currently 119 anon votes, of which there are 106 different unique ballots. And half of the non-unique ones just have “10” in every cell, no preference expressed, so they don’t even affect the result. I actually started writing an implementation of the beatpath algorithm to satisfy my own curiosity about the impact of anonymous votes. I do hope Lumintop will make two emitter options. Obviously my preferred emitter is better than the other leading option, but I do see where proponents of the opposition are coming from (they’re still wrong). I don’t know if it is possible, but I agree that the poll shows that having both XP-L and Samsung choices would make the most people the happiest. Although I prefer the XP-L, I would probably get both in that scenario. My wallet is hoping against this. Thanks for checking! Yeah, pretty much seems like you said, the 2 emitters and the 2 temps. contactcr make sure that iso, aperture, and shutter speed do not change through your test regardless of their values or how you found them. The point of my video was mostly that while beamshots can show the relative intensity of two or more beams, their shapes and qualities, etc, they don’t reflect how much intensity is actually required- if you ramp up from zero and stop when you’ve got enough light to see, you’ll usually find that you don’t go near the maximum brightness. However, you might find yourself wanting a wider beam – I know when I was in the woods in my test, the d4 219c beam was too narrow when it came time to get my bearings again. Edit: You might try exposing for the least intense light in the comparison, rather than the most intense or a random middle pick. To be clear, none of the options are bad. All five are great choices, even the old but venerable XP-G2. I’m pretty happy with my triples in XP-G2, XP-G3, 219b, and XP-L HI. I don’t have any triples with 219c or LH351D, but my 219c quad is nice, and everyone with a LH351D says it’s awesome. If we can get more than one flavor made, I plan on getting every flavor. In that case, it’s probably especially important to maintain a practice of humility and remembering what it’s like to be at the bottom. They say (and studies show) power corrupts… and, as Spiderman says, with great power comes great responsibility. Gotta be extra careful to avoid bad habits. will an unprotected Samsung 30Q or a Sony US18650VTC6 be good to provide the “max” power? How about the Sanyo NCR18650GA, will they be good enough? Any decent cell should work, though higher-amp cells like the 30Q and VTC6/VTC5 should make turbo a little brighter. On regulated modes, the highest output is only 3 amps, so most cells should be fine most of the time. This light isn’t optimized for maximum turbo performance. The heat sink isn’t massive, the springs aren’t fancy low-resistance alloys, the wires aren’t extra-thick, etc… It’s not particularly hot-rodded. The main thing is to make sure the cell is small enough, so probably an unprotected battery. There isn’t a lot left to do, and progress has sped up again… so hopefully release will be soon. 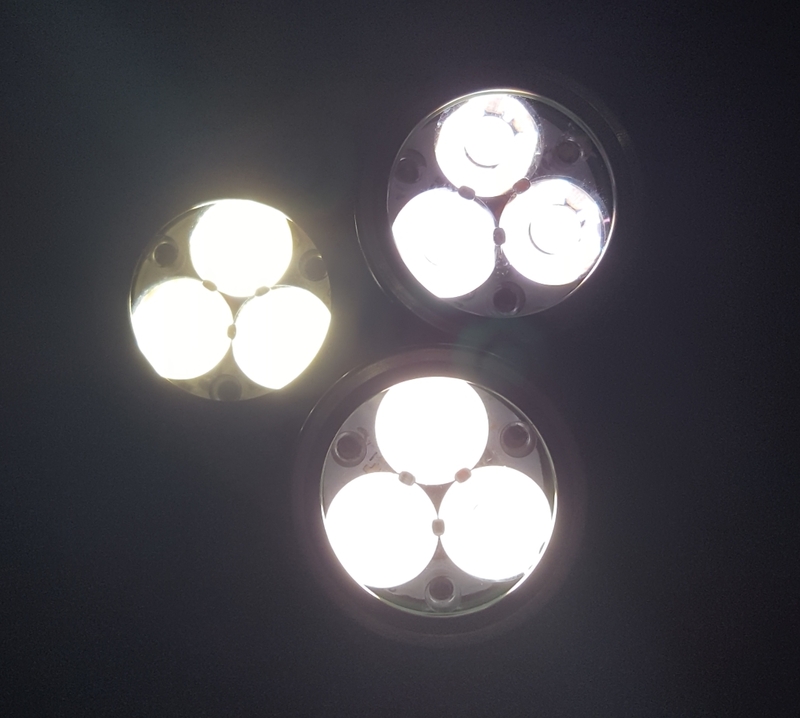 The 10507 clear spot should be used for all emitters we are considering. The 10511 can be polished to increase throw, if desired, and from what I hear, it can throw better than the 10507 after being polished. Afterward it has more visible artifacts, but the beam still ends up looking nicer than a 10507. What the poll might achieve though, is make it more likely that two options be made available. Yes, having data helps with convincing the manufacturer that a market exists for both. I kind of prefer the Ranked Pairs algorithm over Schulze/beatpath, but RP hasn’t been working lately on the CIVS site and the results are almost never any different, so I went with the more stable more popular option. I’m using RP locally though. It’s simpler, and it was easy to find existing code for so I wouldn’t have to reinvent another wheel. I just had to mod the input parser a little to accept the format I get when pasting data from the CIVS site. For XP-L HI, more CCTs are available… so that would probably be 4A (4650K). But for LH351D I need to look at the data more closely to see whether people want 4000K or 5000K. The LH351D in both 4000k and 5000k have been tested, both by Maukka and djozz. 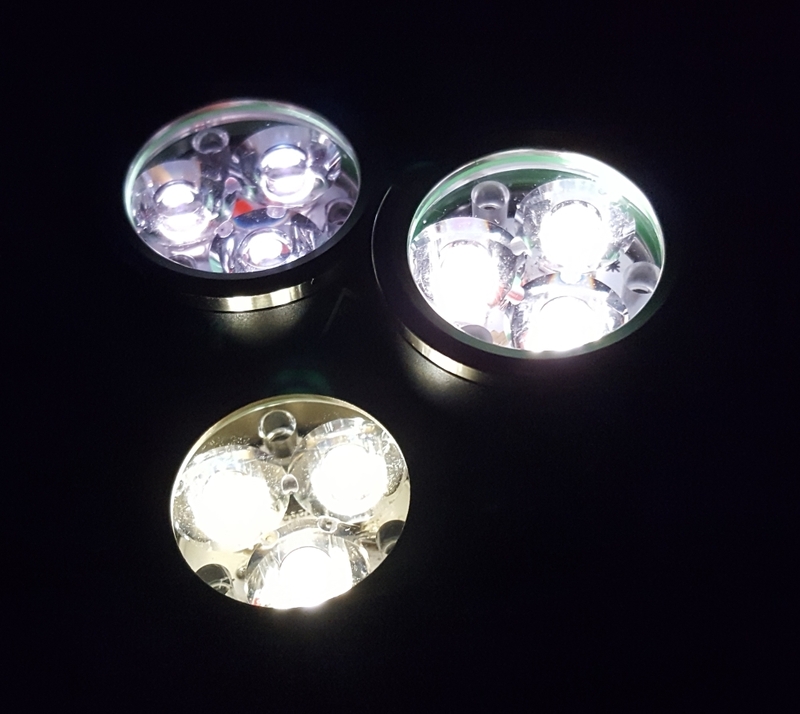 And from them, they said that the LH351D in both color temperatures was awesome, about as good as the Nichia 219C and Luxeon V.
I only have the 4000k R9070 version of the LED in my Thorfire TK15, and it is truly awesome, and makes for an awesome EDC. This is why I’m on the list for four of them. I’ll do it myself. But you have Nellie the Elephant in charge and who knows where that will lead us all to. I’ll just rest my brain-damaged head for a few hours. 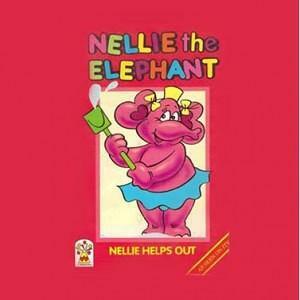 Forgive my ignorance, but who is Nellie the Elephant? Beats me… I myself am also at a loss of any significance associated with that ‘statement’ made by Tom Tom. BUT….. fwiw…..I did find a picture of “Nellie”. FFS Nellie is trumpety trump. I’m surprised I needed to mention this. It’s a bit laughable in most regions, we like dumbo too who can fly with his ears. Well, if nothing else, she looks like someone my niece would be fond of.